Home / Computers/technology / Gadgets / Video: Another Aquatic-drone Joins The Race! There have been many underwater drones, but now there is another one joining the team; YouCan's BlueWater 1 (BW1). 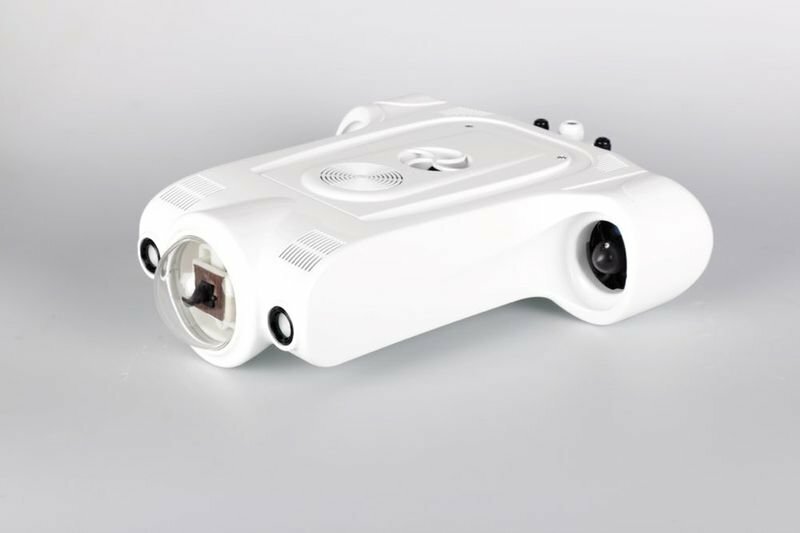 The BW1 drone can descend to a maximum depth of 100m, shoot 1080p/30fps HD video and 4-megapixel stills. The camera of the BW1 can be remotely tilted up or down, allowing users to see what's above or below the drone without having to engage the vertical thruster. A hard-wired electrical tether links the BW1 to a buoy that is towed along on the surface above it. That buoy communicates with an iOS/Android control app on the user's smartphone or tablet via Wi-Fi, relaying command signals to the drone and transmitting a live video feed from it. The Wi-Fi buoy has a maximum transmission range of 200m. The planned retail price of the YouCan BW1 is US$1 699, although Indiegogo pledges are currently available at $749. Assuming it reaches production, shipping is estimated to start in January 2018. It should also be noted that the $749 pledge is for a drone with a 50m tether – if you want to go down the full 100m, you'll need to pledge more. You can see the campaign pitch video below.